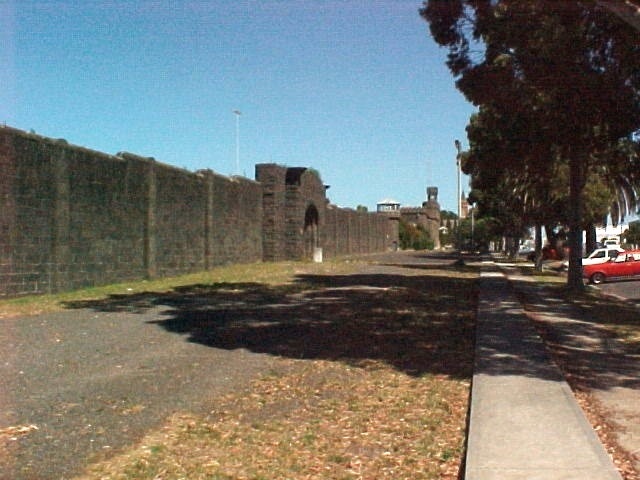 The former HM Pentridge Prison was established in December 1850. The structures remaining from the prison consist of A Division, B Division, B Division Annexe (former kitchen), D Division including the exercise yards, the former hospital (Former E Division), F Division, G Division (Jika Reformatory for Girls), H Division, the main gate, Administration Building, the former Chief Warders and Overseer of Works Residences, the Industries Buildings, the laundry, the south gate to the Women's Prison, and remaining bluestone walls, gates and lookout towers. 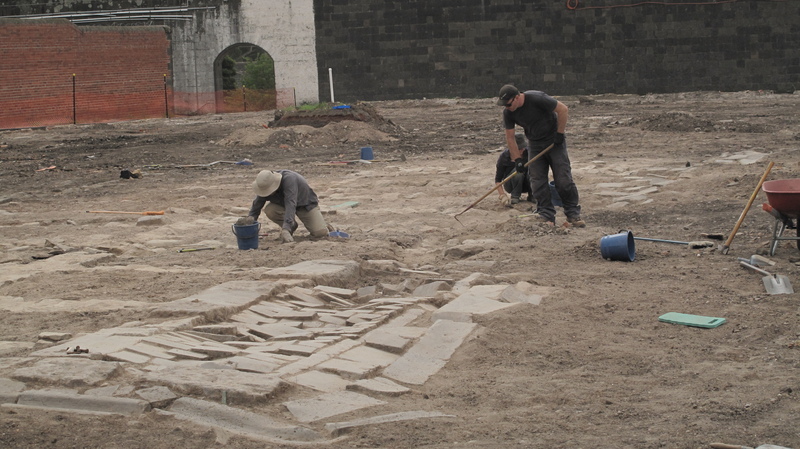 The first stage of the prison was the 1850 to 1857 Pentridge Stockade Complex, a relatively ad-hoc group of structures built by prison labour using predominantly local materials. None of these structures survive, although the boundary of the prison was established at this stage. The second phase undertaken in the late 1850s and early 1860s was the construction of Inspector General William Champ's model prison complex, based on the British Pentonville model and incorporating a relatively sophisticated system of prisoner classification and penal reform. These were all constructed of locally sourced bluestone. The prison was gradually expanded and developed in stages, reflecting both developments in design as well as broader Government policies relating to the operation of the prison system. Following the Stawell Royal Commission of 1870, an extensive work program for prisoners was introduced at Pentridge and a complex known as the 'Industries' was constructed. These included a timber yard, a woollen mill, carpenters and blacksmiths workshops completed in 1879, and tailors and bootmakers workshops completed in 1886. A women's prison was constructed on the site between 1860 and 1865, now known as A Division. 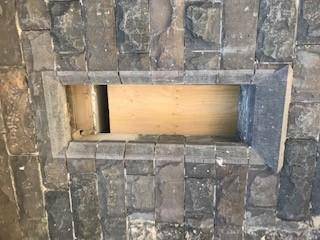 This was superseded when a new female prison was constructed on the site between 1887 and 1894, in order to provide completely separate accommodation for women. This section is now known as D Division. Pentridge remained the main female prison in Victoria until it was replaced by the new women's prison, HM Prison Fairlea in 1956. From the 1870s Pentridge was also the location of reformatories for girls and boys, established following the findings of the Stawell Royal Commission of 1870. The Jika Reformatory for Boys was accommodated in an existing building (F Division), between 1875 and 1879, while a purpose built reformatory was constructed for Protestant Girls (G Division), operating between 1875 and 1893. In 1900 labour yards for A Division were completed. During the 1950s these yards were later converted to a high security block which became known as H Division. In 1924 Pentridge replaced the Melbourne Gaol as the main remand and reception prison for the metropolitan area. 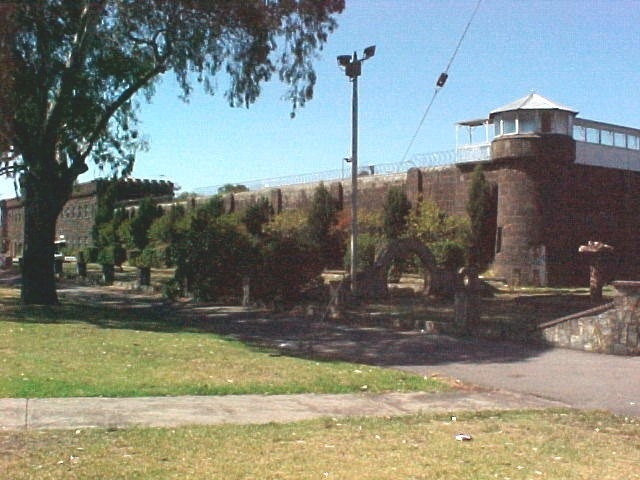 The bodies of approximately thirty-six prisoners executed at the Melbourne Gaol were exhumed and relocated to Pentridge, where they were reburied. Pentridge also became the venue for ten prisoner hangings, until the last Victorian prisoner to suffer the death penalty, Ronald Ryan, was executed in D Division in 1967. 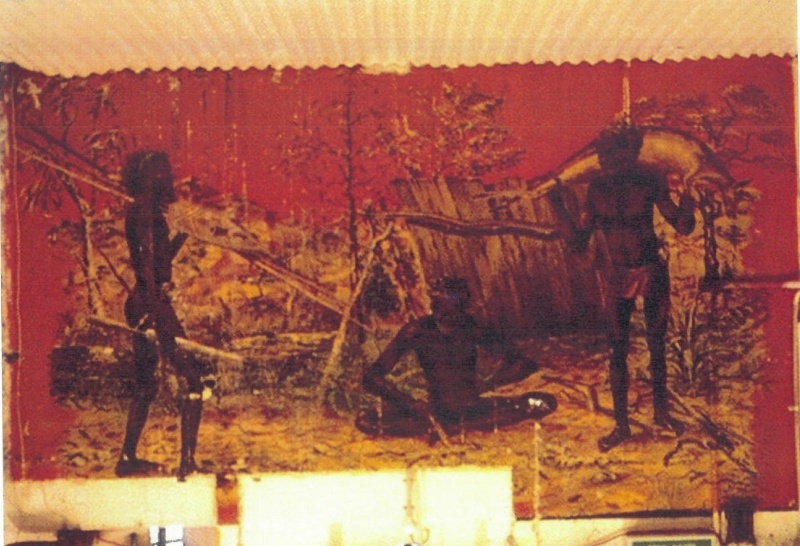 In 1960 during a term spent in Pentridge, the Aboriginal artist Ronald Bull painted a mural depicting a traditional tribal scene. The mural survives and is located at the east end of F Division. 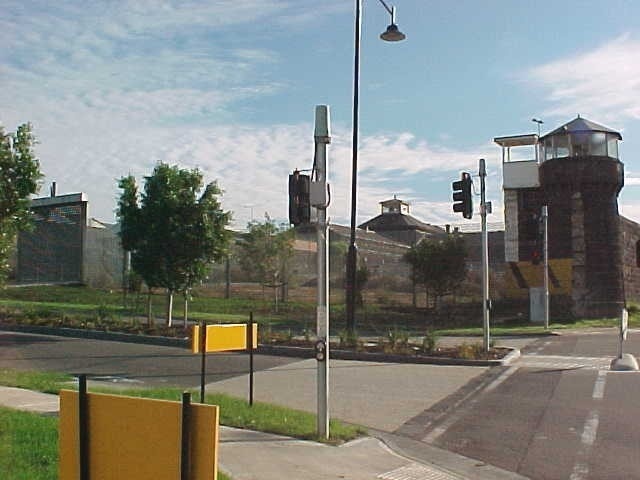 In April 1995 the Office of Corrections ordered that the six main towers at Pentridge be closed, since most of the high security prisoners from the gaol had been relocated to Barwon as part of the downgrading of Pentridge to a medium security prison. The prison was finally closed in 1997 and the land and buildings subsequently sold. 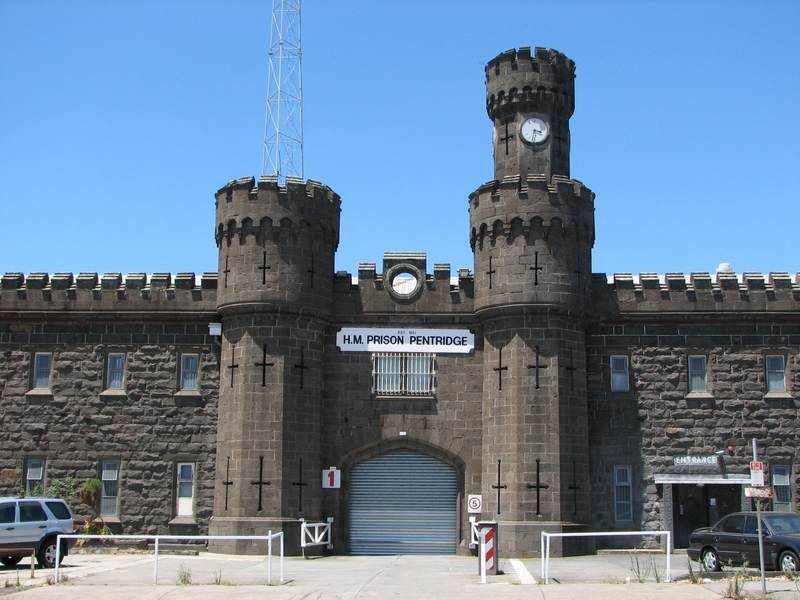 The former HM Prison Pentridge is of historical, architectural, archaeological, scientific (technological) and aesthetic significance to the State of Victoria. The former HM Prison Pentridge is of historical significance as the largest prison complex constructed in Victoria in the nineteenth century. 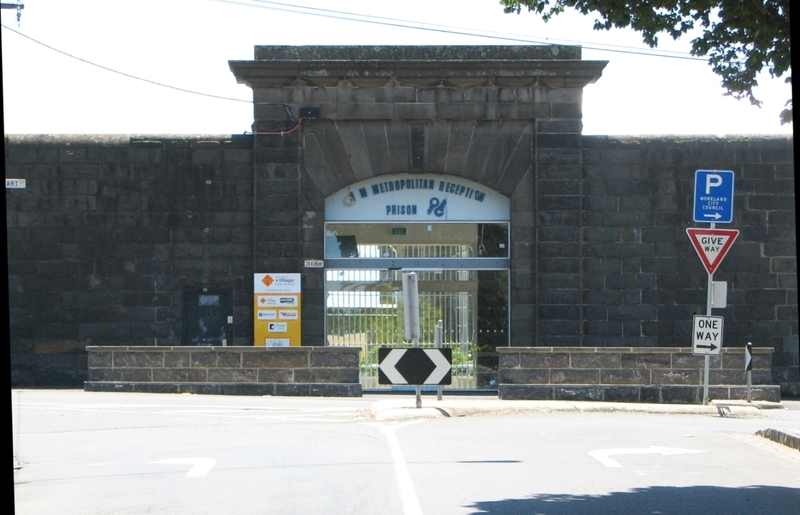 The former HM Prison Pentridge is of architectural and historical significance as a nineteenth century complex of buildings that demonstrates a number of phases in the development of the penal reform system. Most of these structures still survive, largely intact. 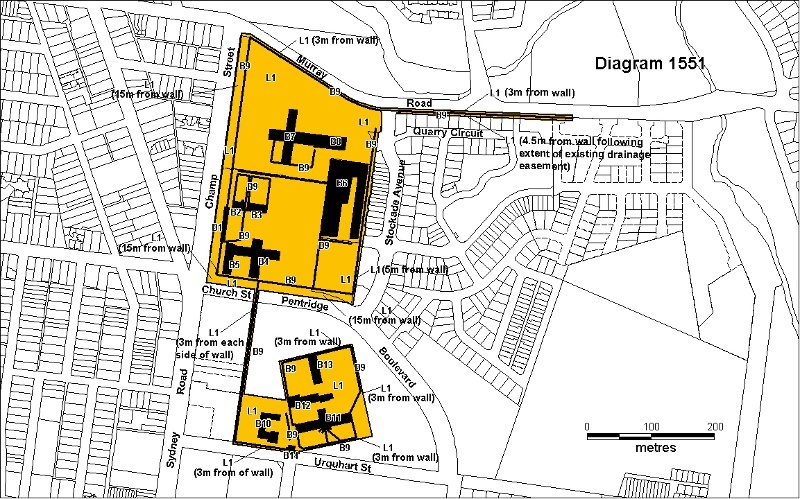 The range of cell blocks, workshops and other buildings, the relatively dispersed layout of the buildings and the large scale of the site as a whole demonstrate the unique character of Pentridge as the principal establishment for long-term prisoners. The planning of A, B and D Divisions are representative examples of the overwhelming influence and continuing development of British planning models, from the 1830s until the end of the nineteenth century. F Division is a rare surviving example of early nineteenth century prison buildings. The former prison is of architectural significance due to its monumental size and the austere Classical style of the nineteenth century prison buildings. The complex of buildings and walls are important for their expression of the requirements of containment and order. The former HM Prison Pentridge is of historical significance in the history of child welfare in Victoria. It was the location of reformatories for both girls and boys, established following the findings of the Stawell Royal Commission of 1870. The prison complex includes the purpose-built Jika Reformatory for Protestant Girls (G Division), which operated between 1875 and 1893. 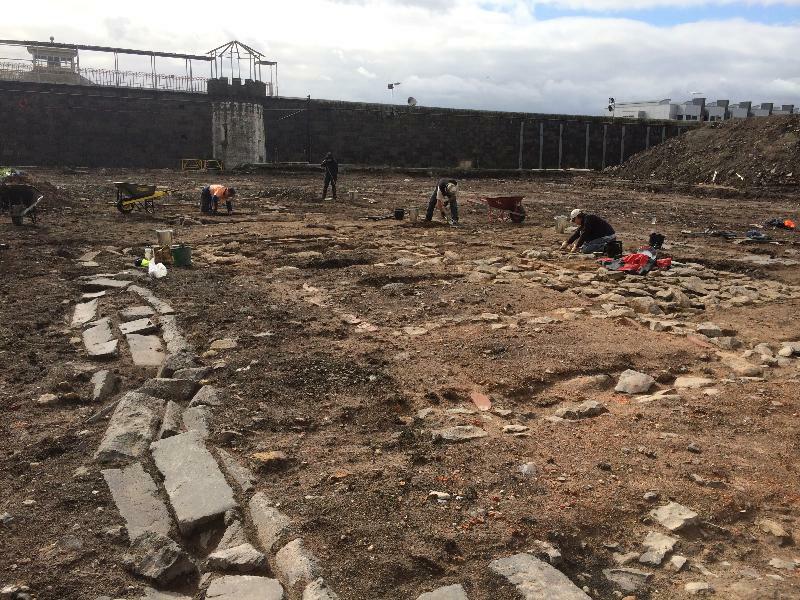 The former HM Prison Pentridge is of archaeological significance for its archaeological features, deposits and relics that relate to the construction and use of the site. 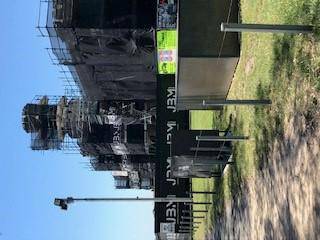 The burial area and industry refuse site adjacent to the east wall of the F Division includes the burial sites of all executed prisoners relocated from the Old Melbourne Gaol between 1929 and 1937, and the burials of nine prisoners executed at Pentridge between 1928 and 1951. 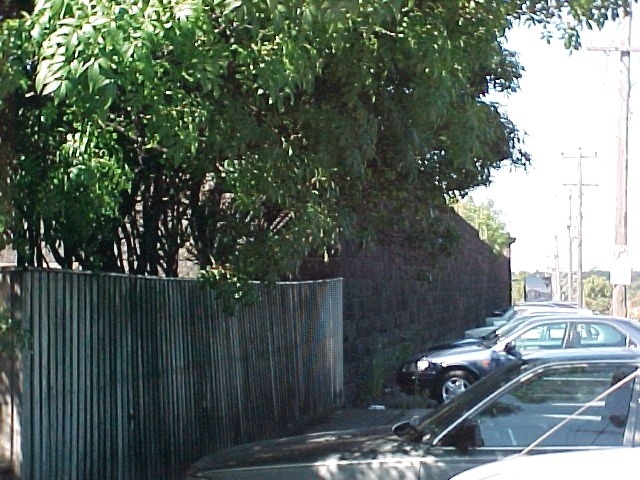 The area adjacent to the east wall of D Division is significant as the former burial site of Ronald Ryan, and as the site where executed prisoner burial remains were reinterred in 2011. The former HM Prison Pentridge is of scientific (technological) significance for its original ventilation systems in A, B and D Divisions, and the surviving original cisterns and other elements of the water supply system in B Division. The apparently intact thermo-ventilation system in B Division is of particular importance. The former HM Prison Pentridge is of aesthetic significance due to its grim and imposing bluestone walls and towers which are important landmark features. As Executive Director for the purpose of the Heritage Act 1995, I give notice under section 46 that the Victorian Heritage Register is amended by amending the Heritage Register Number 1551 in the categories described as Heritage Place and Archaeological Place. as marked on Diagram H1551 held by the Executive Director. 2. All of the land marked L1 and L2 on Diagram H1551 held by the Executive Director. Pentridge Prison was established in 1851 as a result of increased pressure on the Penal system due to the gold rush and the need for a place to hold those convicted of serious offences. 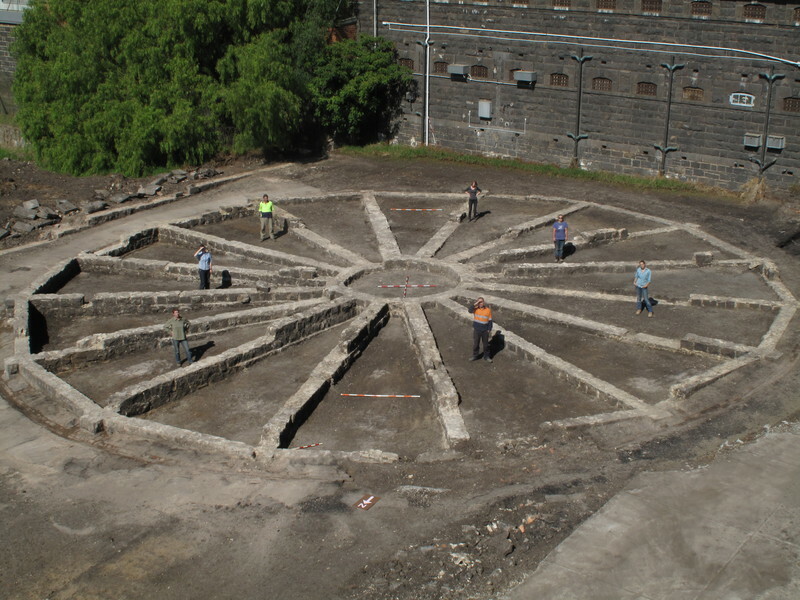 The first stage was the 1850-1857 Pentridge Stockade Complex, a relatively ad-hoc group of structures built by prison labour and using predominantly local materials. 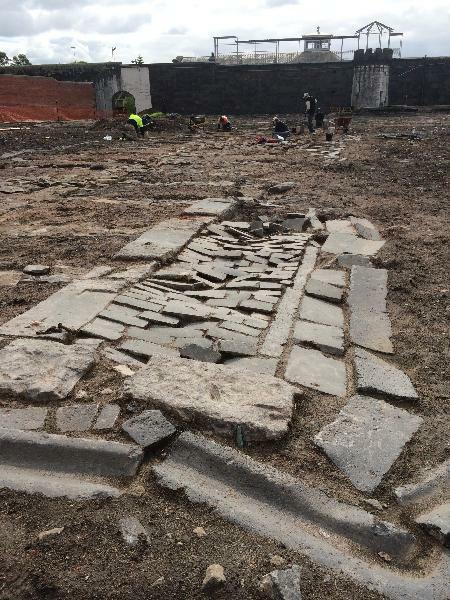 None of these structures survive on the site, however the boundary of the prison was established at this stage. The second phase undertaken in the late 1850s and early 1860s was the construction of Inspector General William Champ’s model prison complex, based on British exemplars and incorporating a relatively sophisticated system of prisoner classification and penal reform. The main structures constructed at this stage and still surviving are the Entrance Building, Warder’s residences, Prison Hospital, Panopticon B Division, F Division, a Workshop building (now known as the Laundry) and most of the prison walls. These were all constructed of bluestone. The prison was gradually expanded and developed in stages, reflecting both developments in penology as well as broader Government policies relating to the operation of the prison system. Following the Stawell Royal Commission of 1870 an extensive work program for prisoners was introduced as part of the system at Pentridge and a complex known as the Industries was constructed. These included a timber yard, a woollen mill, carpenters’ and blacksmiths’ workshops completed in 1879 and tailors’ and bootmakers’ workshops completed in 1886. A female prison was constructed on the site between 1860 and 1865 which is now known as A Division. 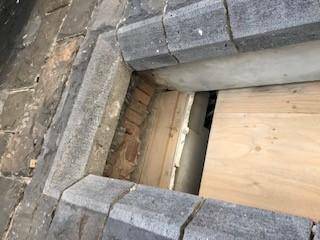 This was superseded when a new female prison was constructed on the site between 1887 and 1894 in order to provide completely separate accommodation for women. This section is now known as D Division. Pentridge remained the main female prison until it was replaced by the new women’s prison, HM Prison Fairlea in 1956. 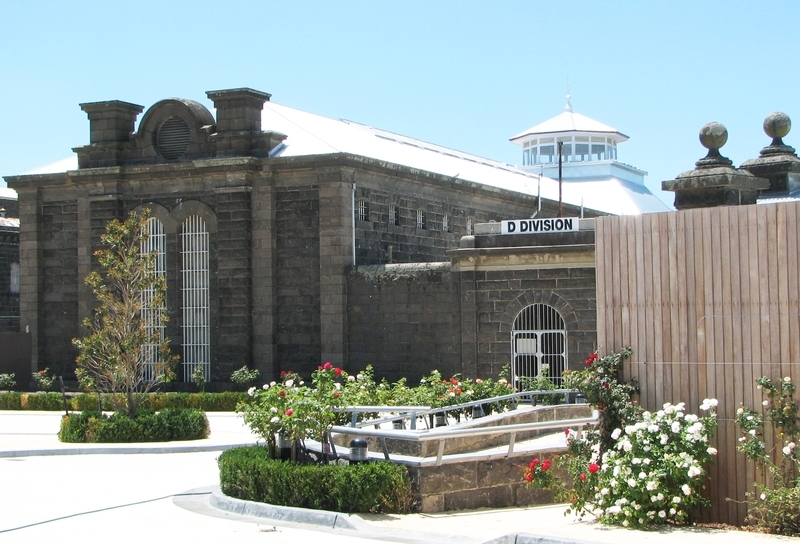 Pentridge was also the location of reformatories for both girls and boys, established following the findings of the Stawell Royal Commission of 1870. The Jika Reformatory for Boys was accommodated in an existing building (F Division), between 1875 and 1879, while a purpose built reformatory was constructed for the Jika Reformatory for Protestant Girls (G Division), which operated between 1875 and 1893. In 1900 labour yards for A Division were completed. During the 1950s these yards were later converted to a high security block which became known as H Division. 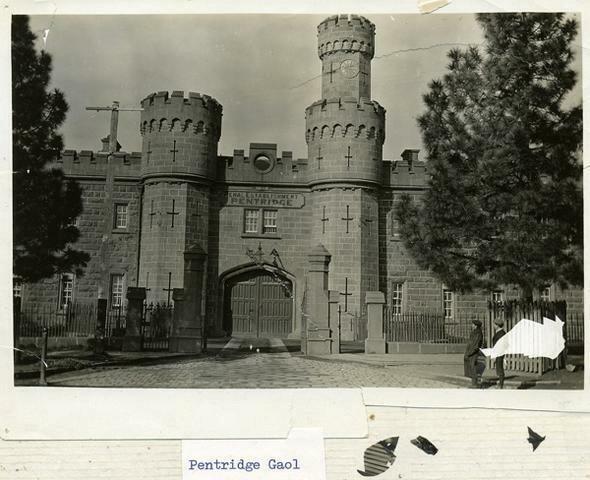 In 1924 Pentridge replaced the Melbourne Gaol as the main remand and reception prison for the metropolitan area. The bodies of a number of prisoners executed at the Melbourne Gaol were exhumed and relocated to Pentridge, where they were reburied, possibly just east of D Division. Pentridge also became the venue for all subsequent hangings, until the last Victorian prisoner to suffer the death penalty, Ronald Ryan was executed in D Division in 1967. 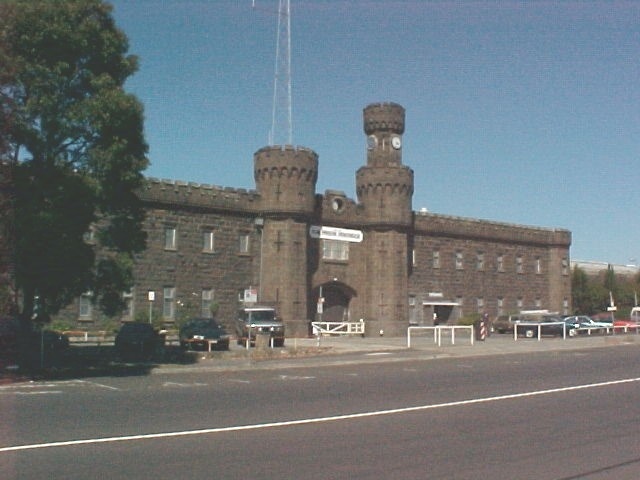 In April 1995 the Office of Corrections ordered that the six main towers at Pentridge be closed, since most of the high security prisoners from the gaol had been relocated to Barwon as part of the downgrading of Pentridge to a medium security prison. The prison was finally closed in 1996. Associated People: Samuel Barrow, John Price, William Champ and successive Inspectors-General. In 1850 a prison stockade was established on this site. Massively expanded from 1859 onwards, it became the largest prison in Victoria. Closed in 1997, many men, women and children were confined here. The former HM Prison Pentridge is of historical significance as the largest prison complex constructed in Victoria in the nineteenth century, which operated as the central establishment in the wider prison system from the 1860s. F Division is a rare surviving example of early nineteenth century prison and hospital design. The complex of buildings, which remains on site, demonstrates a number of phases in the development of the penal system, including the separate system, which dominated penology in Victoria in the nineteenth century. Pentridge is also significant in the history of child welfare in Victoria. It was the location of reformatories for both girls and boys established following the findings of the Stawell Royal Commission of 1870. The prison complex includes a purpose-built reformatory of 1875 (G Division), constructed as the Jika Reformatory for Protestant Girls, which operated between 1875 and 1893. It represents development and reform of the penal system in Victoria from 1850. As Victoria's largest and most central prison since 1860 it reflects changes since this time. The former HM Prison Pentridge is of architectural importance as most of the major elements of the nineteenth century complex survive and are largely intact, and together clearly demonstrate the planning and functioning of the prison in the nineteenth century and the main functional elements of the separate system. The range of cell blocks, workshops and other buildings, the relatively dispersed layout of the buildings and the large scale of the site as a whole contrast with other nineteenth century prisons in Victoria and demonstrate the unique character of Pentridge as the principal penal establishment for long-term prisoners within the nineteenth century Victorian prison system. The planning of A, B and D Divisions are representative examples of the overwhelming influence and continuing development of British planning models and the separate system on prison design in Australia from the 1830s until the end of the nineteenth century. The former prison is of aesthetic and architectural significance because of the monumental scale and austere Classical style of the remaining nineteenth century prison buildings. The complex of buildings and walls are important for their expression of the requirements of containment and order and are typical of other prison buildings constructed in Victoria in the 1850s and 60s. Samuel Barrow, John Price, William Champ and successive Inspectors-General. * All interior alterations that do not adversely affect the exterior fabric (including the roof or structure) of the following buildings: B1 (Main Gate and Administration Building), B2 (Former Chief Warders and Overseer of Works Residences), B3 (Former Hospital - Former E Division), B5 (B Division Annexe), B6 (Industry Buildings), B10 (G Division), B12 (F division - either side of central building), B13 (Laundry), B14 (South Gate to Former Women's Prison). 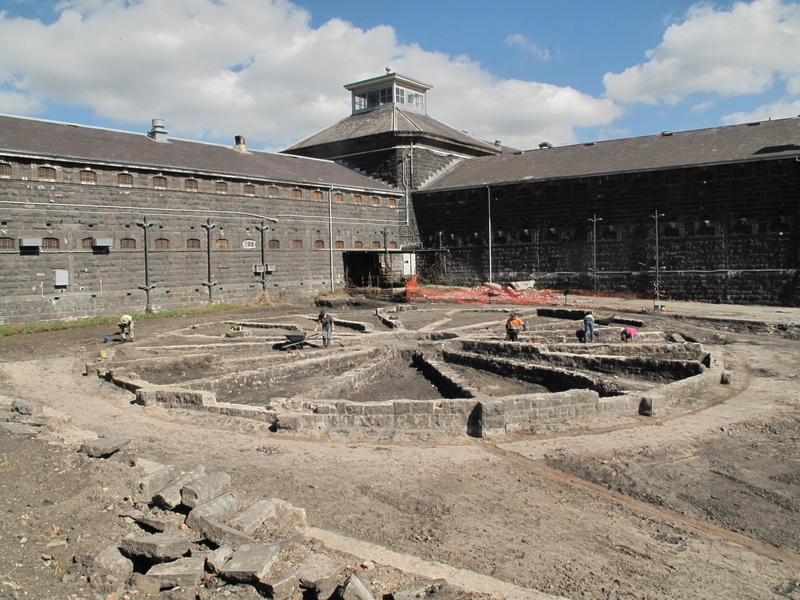 The main importance of the specified buildings and walls at the former HM Prison Pentridge is their layout, form and relationship to each other and the external environment, demonstrating the form and function of the 19th century prison. Only the interiors of the following buildings remain intact and are of importance; B Division; A Division; D Division; F Division (central building only) and H Division. Alterations to these interiors should be subject to permit applications. The walls specified in the extent of registration are important for their demarcation of the differing spaces and their functions within the prison. The external walls are critically important for their symbolic and landmark value and any proposed development which compromises these values should be avoided. The registered land is considered integral to the understanding of the relationships between the registered structures and the way they relate to the external environment, therefore any proposed developments on this land would require permits. Any significant below ground works should require a permit from the Executive Director Heritage Victoria. Modification of walls to allow for access and new uses of the site should be allowed (subject to a permit) as long as this is done sensitively and with a minimum of disturbance commensurate with a viable use of the place.